German retailer Aldi has announced that as of January 1st they will be removing 8 pesticides from all products on its U.S. stores shelves. The food chain is making a name for itself as a health-focused supermarket in recent times. With low prices AND a focus on health, Aldi is gaining a reputation as the food conscious shoppers go-to store. Aldi has made a name for itself in recent years for being strict about removing certain pesticides and chemicals from its products, and they are going even further in their quest for quality. They have begun to offer more high-end foods like artisan cheeses, smoked salmon, quinoa, and coconut oil. 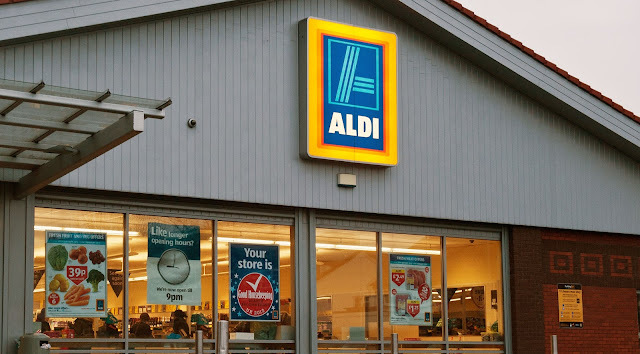 There are currently 1,500 Aldi stores in the U.S and the plan to open 500 more by 2018. With such a strong focus on health, they are set to become the leader in health supermarkets. The grocery chain is expanding organic-food brands, removing some artificial ingredients from its products, and adding more gluten-free items in hopes of attracting more health-conscious shoppers. Neonics are systemic pesticides and they are one of the newest types of insecticide, used mostly in the last 20 years to control a variety of pests, especially sap-feeding insects, such as aphids on cereals, and root-feeding grubs.